Lately I have been on a major smoothie craze. I have been getting these delicious chocolate banana smoothie's at Smoothie King after my work-out's and I wanted to try to replicate them at home for a bit of a cheaper price tag. I found the perfect recipe and it tastes just like my delicious lean chocolate and banana smoothie's I was getting at Smoothie King. I do want to find a good protein powder that I can add in, let me know if you have a good one. 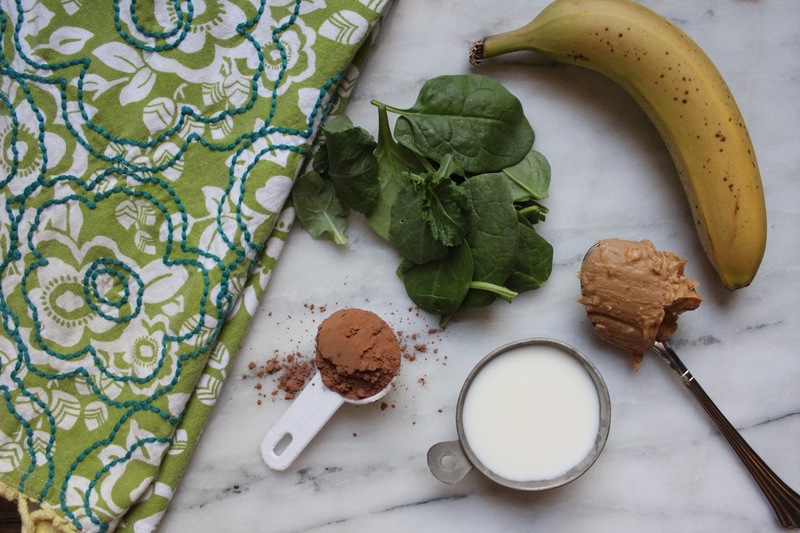 If you are looking for another yummy smoothie try out this recipe as well. 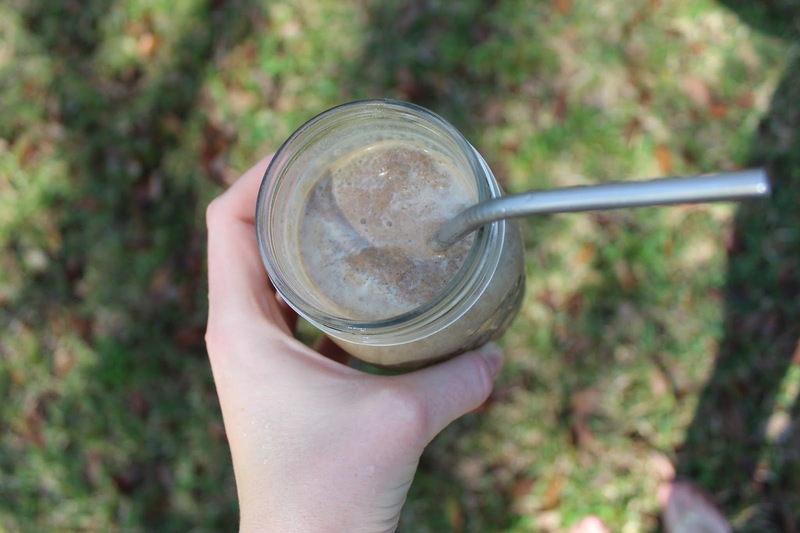 This smoothie curbs my sweet tooth while giving me fruits and veggies and my chocolate fix. 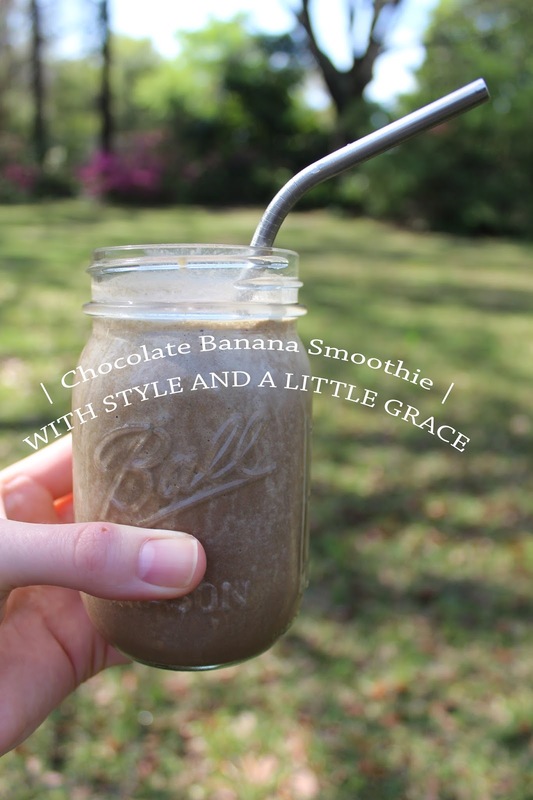 Let me know if y'all make this smoothie - it is so yummy! I love chocolate smoothies! I'm not a banana fan though so I leave that out. Sometimes I add more ice and make it frosty consistency!! My protein powder of choice is juice plus complete. It's cheaper than other brands, third party certified so proof of no contaminants and it's not gritty like others are. I was surprised at how many reputable brands got slammed for additives and such not too long ago!! I also look for whole foods as ingredients and not a laundry list of isolated vitamins. Id rather see mushrooms than vitamin d, for example.